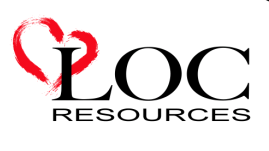 LOC Resources offers guidance and resources for anyone involved in an unplanned pregnancy. All services are free and confidential. The goal of the center is to provide spiritual, emotional and physical support, while upholding the sanctity of human life, encouraging abstinence, and discouraging the disastrous choice of abortion. LOC also compassionately embraces cases where abortion has been chosen, while sharing the unconditional love of Jesus Christ. Before you visit an abortion clinic in the Lakeway Area, make sure you are really pregnant and determine how far along you may be. Our Client Advocates will discuss your pregnancy symptoms and provide information on abortion procedures. Get all the facts to help you decide. If you’re concerned about being pregnant and want help with your next steps, make an appointment for a free pregnancy test at LOC. Before making any decisions about what to do, know for sure if you’re really pregnant.